The Netherlands and water: a story of conflict and concord, calamity and prosperity. For centuries the Dutch have been masters at controlling the water. They have wrested land from the water and turned Dutch waterworks into a global export product. The knowledge and technology with which the ‘Low Lands’ deal with water are an inspiration to many countries. Climate change is increasing the threat of both flooding and drought, and the consequences of a potential disaster are incalculable. It is no accident that dealing with water is one of the greatest global challenges of the twenty-first century. 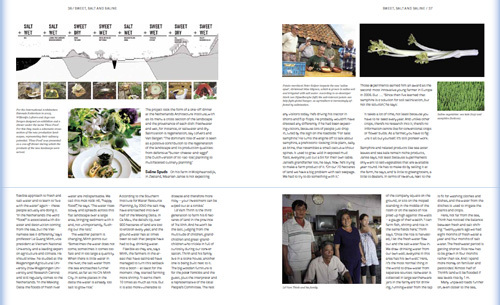 In the project Sweet&Salt (book and exhibition) author and journalist Tracy Metz and curator Maartje van den Heuvel demonstrate, in text and images, how the Netherlands shapes its evolving relationship with water. 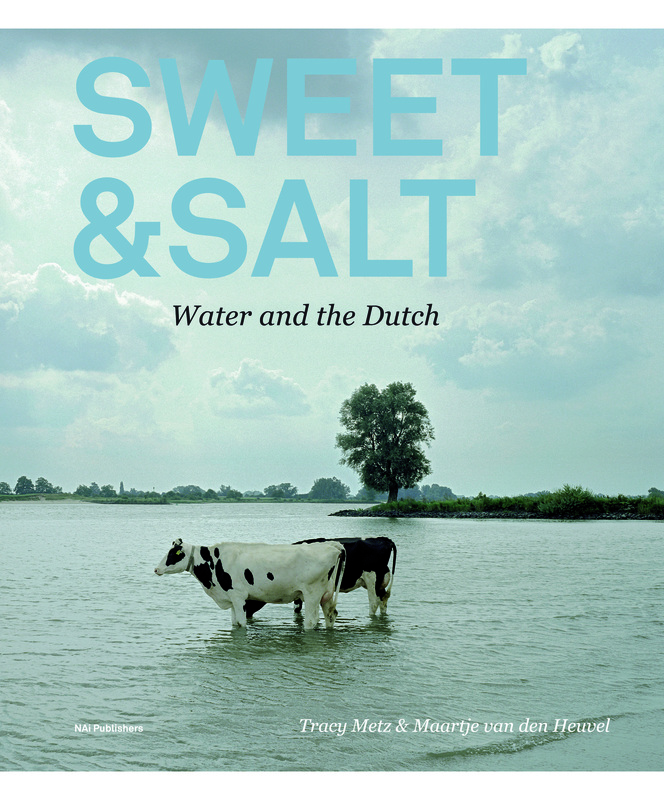 In Sweet&Salt: Water and the Dutch, American-born journalist and author Tracy Metz describes the metamorphosis the landscape of the Netherlands is currently undergoing and how the Dutch are searching for new ways of living with the water. 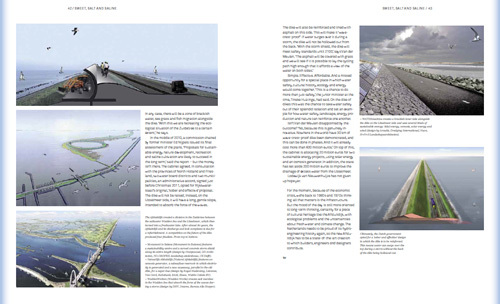 She also reports on various places around the world, such as New Orleans, Hamburg, Vietnam, New York and China, that are working with the Dutch on a new approach to the water landscape. As the most iconic element of the Netherlands, water has been represented in countless images over the centuries. 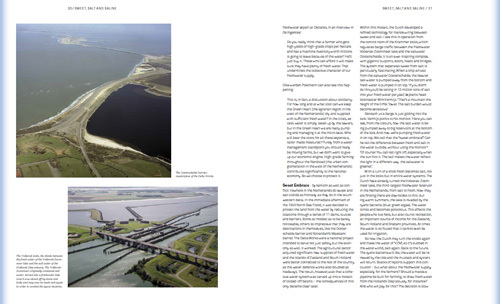 In this publication, art historian Maartje van den Heuvel reveals, in more than 125 works of art, the rich diversity of meanings the Dutch have attached to water and their waterways. These works of art represent the Netherlands’ history with water in an evocative way and can serve to inspire the shaping of a changing world. ISBN 978-90-5662-848-2 | 1. edition | February 2012 | available | Tracy Metz, Maartje van den Heuvel | design: Opera Ontwerpers | English | paperback | 23 x 28 cm | 296 pages | illustrated (280 full color) | in conjunction with: Kunsthal Rotterdam and Leiden University | with support from: Province of Zuid-Holland, Evides Waterbedrijf, Rijkswaterstaat, The Netherlands Architecture Fund, Vitens, DeltaPORT Donation Fund, WWF, Rotterdam Climate Initiative, Cultural Heritage Agency of the Netherlands, Delft University of Technology, province of Gelderland, NWB Bank, Knowledge for Climate, Rebel, City of Dordrecht, Hoogheemraadschap De Stichtse Rijnlanden, DHV Consultancy and Engineering, Waterschap Amstel, Gooi en Vecht, Association of Regional Water Authorities, District Water Board Hollandse Delta, Royal Haskoning, Fund for Special Journalistic Projects and Hoogheemraadschap van Schieland en de Krimpenerwaard.